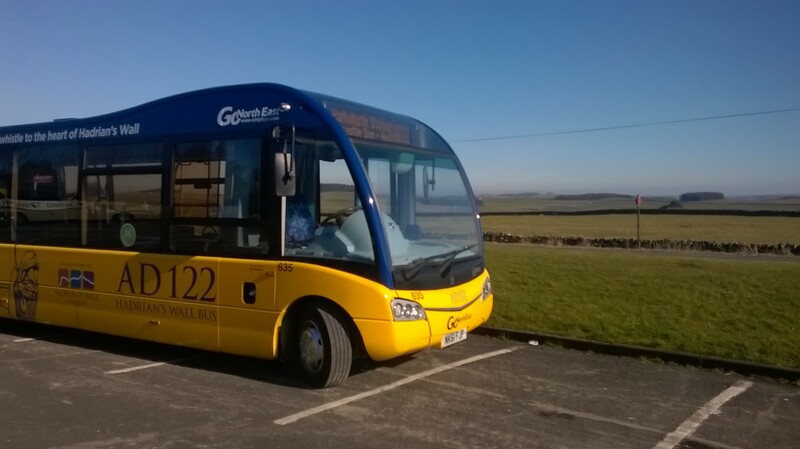 Hexham to Housesteads by bus and foot. Isabella Scott is a history graduate from Hexham. She might now live and work in Glasgow but she grew up in Hexham and still refers to it as home. So we asked Isabella to describe her day out with friends and get an insiders’ view on how to spend a day when she gets a chance to visit ‘home’ and show off the World Heritage Site on the doorstep. 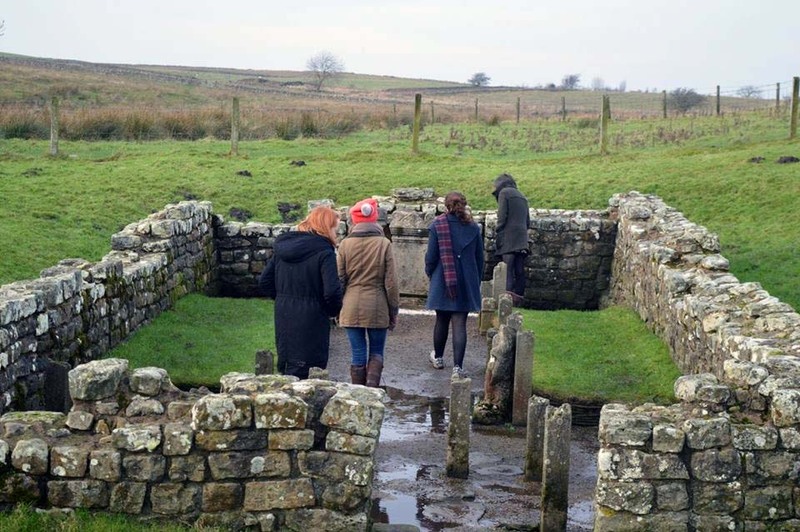 These are the highlights of a day with friends on Hadrian’s Wall. We start the day with an essential coffee as one of the best ways to kick start your tour of Hadrian’s Wall, Hexham’s well catered for and has good coffee shops. It's easy to spend the day enjoying Hexham, it’s a great little market town and really vibrant. There’s the Tuesday Farmers’ Market full of yummy food. Hexham Abbey is just beautiful and the Old Gaol is well worth a visit especially for the essential Facebook picture of friends in the stocks. 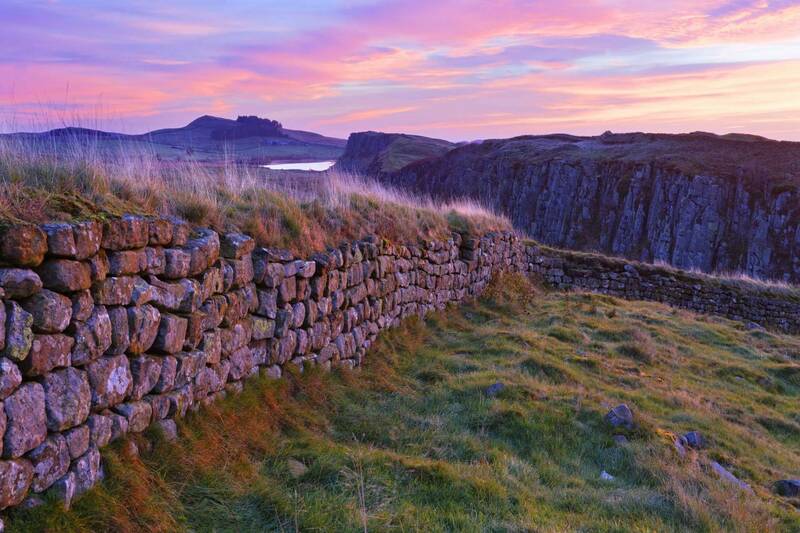 Today, though, we’re heading to Hadrian’s Wall via bus from Hexham Train Station. The train from Hexham can have you in Newcastle or Carlisle in a very short space of time, but that’s for another day. We jump on the AD122 bus with a day ticket in hand and sit gossiping about the previous night in the pub whilst I point out places as we travel along to our first Roman encounter, one of my favourites of all time, The Temple of Mithras. It takes us about 15 - 20 minutes to get there and I love sharing this place with people new to the World Heritage Site. It always feels like your discovering it for yourself. When reaching the car park by the temple, you’ll find this mysterious place located a short walk from the car park and situated down a slight bank in the fields. I’ve read the history in my attempt to sound knowledgeable and recite it to my friends. My friends seemed impressed and, to be honest, I don’t think it’s my knowledge that impresses them. It was more the feeling of this special place. Now we start our walk properly. We’ve all come kitted in our boots and wellies ready for the adventure, the odd bit forgotten was picked up in the outdoor shops in Hexham the day before and we are suitably equipped for all the elements. We have a little over 4 miles to walk heading east towards Housesteads Roman Fort. The scenery along this walk is stunningly beautiful and we chat away enjoying the fresh air. It’s a perfect way to spend time with friends. You can’t fail to love this landscape and you’re aware that you’re in one of the world’s famous historical monuments. It's no surprise it’s voted a favourite in surveys about history and the outdoors. It always makes me feel proud. We make sure we don’t cause any wear and tear as we walk along, the official guidance asks us to spread out and not walk in a line. It’s easier for us to talk side by side and somehow you know that walking on the stones themselves shouldn’t be done. It just feels wrong. That’s not to say that there aren’t a thousand photo opportunities as we wander along. There’s no doubt my social media followers know all about our adventures and we get many messages of jealously over the views as we record our campaign for the future. By the time we reach Housesteads we are ready to stop for a break and a bite to eat. There’s plenty of sandwich options. You can bring a picnic but I don’t think we’re that organised and a coffee and cake are demolished while looking north over the Wall and south at the distant hills of the North Pennines. We explore the Fort. It's an amazing setting perched high up on the side of the hill and your imagination goes into overdrive as you explore the Museum and ruins. Don’t miss the world-famous toilets. After an hour I gather up my motley crew and continue west onto the famous Sycamore Gap. Anyone who has seen the Kevin Costner ‘Robin Hood’ film knows this famous tree. Fuelled by cake, we joke about how on earth Robin Hood could land on the south coast of Britain and arrive at Nottingham via Hadrian’s Wall! We leisurely stroll along this stretch from Housesteads to Sycamore Gap and it takes around 1.5 hours. This stretch is quite up and down in places. We work off those cake calories and start to discuss another meal in the coming evening. 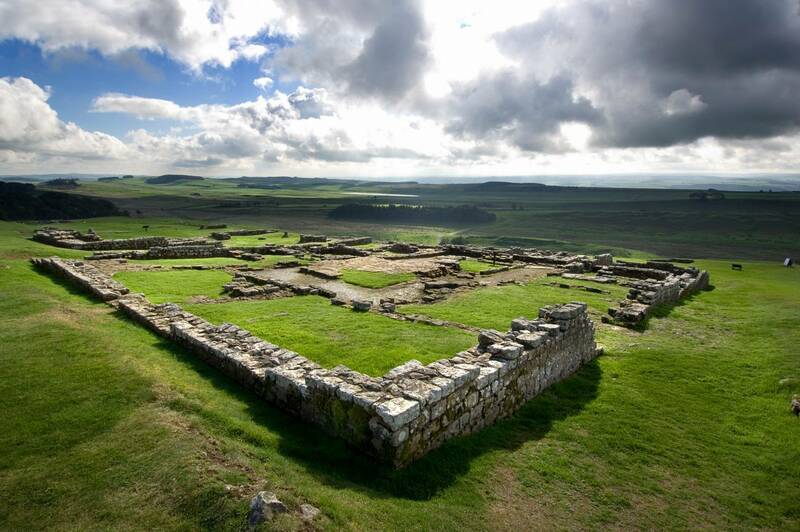 All the time we get distracted by the breathtaking visual panoramas of the Northumberland National Park. Everyone is glad they brought their phones to snap away another flurry of pictures heading off to social media. 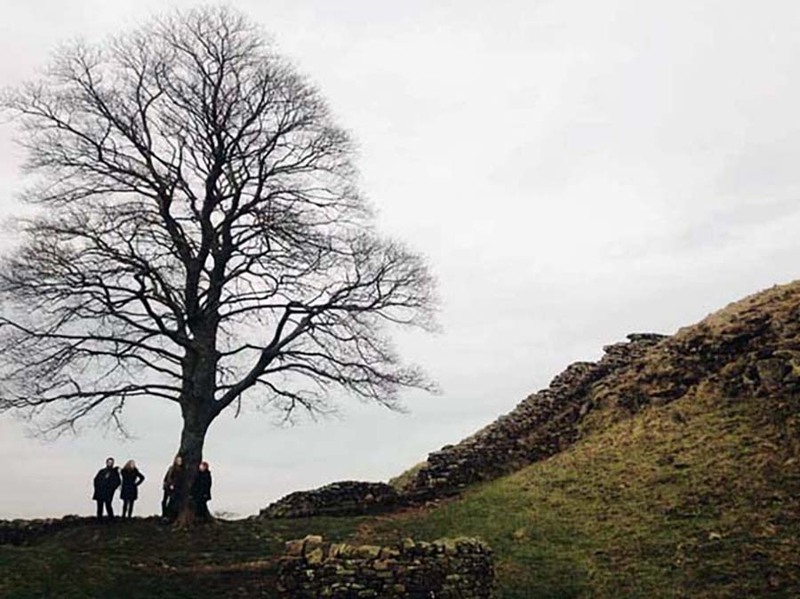 We pose under this famous landmark of the tree and then continue along past milecastles and turrets on the Wall. We’re wondering why they put turrets in strange places like on 45-degree slopes. Surely, we joke, soldiers must have rolled out of bed while stationed here. It’s now not long until we reach Steel Rigg and once again cameras appear at this amazing viewpoint looking right along this dramatic landscape. We’ve just walked that! The local rock goes up and down in frozen waves as far as you can see. We take our pictures but they never capture what it's really like to actually stand here and soak it in. We’ve all had a great day and seen amazing things. From here we have just a short walk to catch the AD122 Bus at Twice Brewed Inn. We have rosy cheeks and slightly achy feet. Nothing a good meal and maybe a cocktail or two back in Hexham/Newcastle won’t fix.